The first step to powder coating is to remove any old finishes prior to coating. Most customers do not have the time or equipment to do this safely or properly. That is why we offer sand blasting and also dustless blasting as part of our service offerings. Many of our customers bring parts to us that are either already coated, rusty, or need to be cleaned properly prior to powder coating. Sand Blasting, also known as abrasive blasting, is the process of forcibly shooting a high-pressure stream of abrasive material against a surface to remove coatings, smooth a rough surface, or roughen a smooth surface. The abrasive media can vary depending on the parts being blasted and is typically a finely cut glass, mineral, or even baking soda. Soda is not recommended for powder coating operations, as the powder can sometimes act to deter paint adhesion. 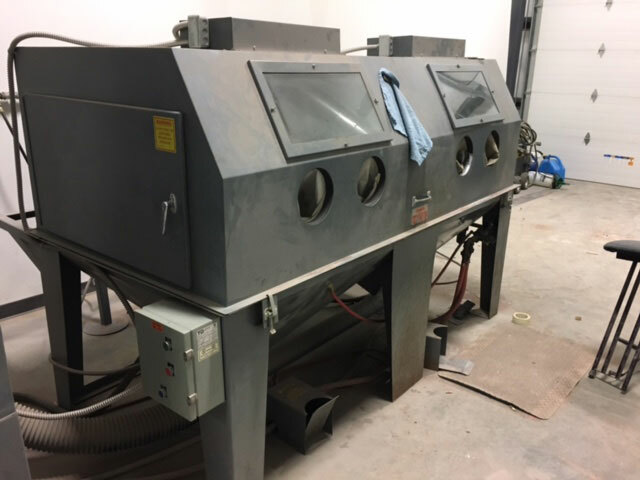 At Hanover Powder Coating, we have an extra large industrial blast cabinet, a blasting room for larger projects and we also offer dustless blasting for projects of infinite size such as cars, trucks and industrial machinery. Dustless Blasting works by mixing water and abrasive inside a blast tank. The water serves to drastically increase mass and energy the machine is putting out while eliminating dust. The abrasive and water mix into a type of abrasive mud which hits the painted surface with more velocity and doesn’t break apart like dry blasting does. 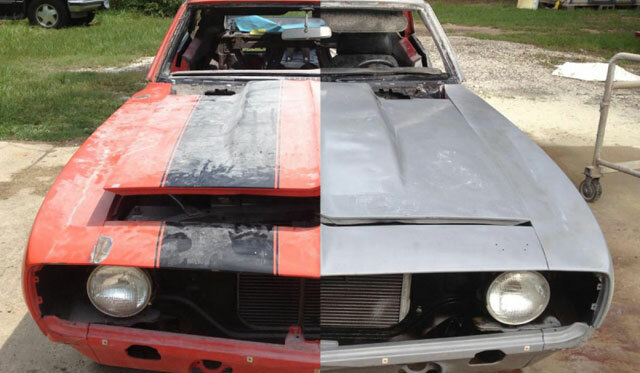 Dustless blasting can strip a car in about two hours. So it is faster. There is no risk of warping because the water keeps the metal cool. It also uses less abrasive media to work since it is not lost to the air. Dustless blasting leaves a paint ready surface with a corrosion inhibitor that is good for 72 hours. 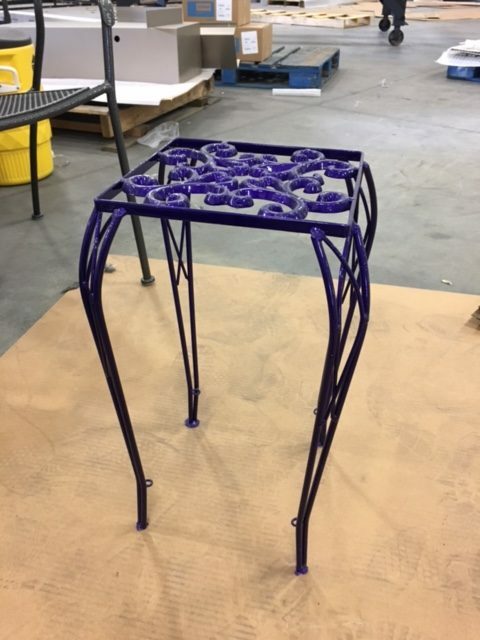 Whether it is an antique car part, or an antique hand me down, You can have it looking like brand new after a sandblast and powder coating from Hanover Powder Coating. Don’t trust just anyone with your family treasures, let the professionals at Hanover Powder Coating restore and protect them to better than new.